HEATHER ANN THOMPSON is an award-winning historian at the University of Michigan. 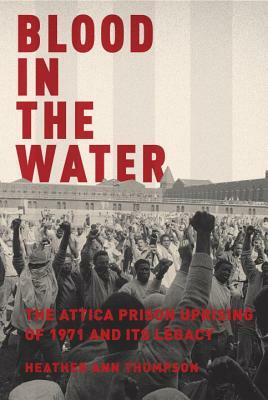 Her most recent book, Blood in the Water: The Attica Prison Uprising of 1971 and Its Legacy, won the Pulitzer Prize in History, the Bancroft Prize, the Ridenhour Book Prize, and the J. Willard Hurst Prize, and was a finalist for the National Book Award and the Los Angeles Times Book Prize, among other accolades. She is also the author of Whose Detroit? : Politics, Labor, and Race in a Modern American City and the editor of Speaking Out: Activism and Protest in the 1960s and 1970s. She served on a National Academy of Sciences blue-ribbon panel that studied the causes and consequences of mass incarceration in the United States and has given congressional staff briefings on the subject. She has written on the history of mass incarceration and its current impact for The New York Times, Time, The Atlantic, Salon, Newsweek, NBC, Dissent, New Labor Forum, and The Huffington Post, as well as for various top scholarly publications.